FIRST ALERT FORECAST: Spring has sprung! TUCSON, AZ (KOLD News 13) - It’s going to be a warm 1st day with temps in the 80s accompanied by a breeze in front of a cold front that passes through tonight bringing a small chance of rain and a big temperature drop! Temps rebound into the mid 70s for the weekend! WEDNESDAY: Partly sunny with highs in the low 80s. Breezy. TONIGHT: 20% chance for rain. Mostly cloudy with lows in the low 50s. THURSDAY: Mostly sunny with highs in the low 70s. 10% chance of an isolated shower east of Tucson. FRIDAY: Mostly sunny with highs in the low 70s. SATURDAY: Partly sunny with highs in the mid 70s. SUNDAY: Mid 70s under partly sunny skies. MONDAY: Mostly sunny with highs in the low 80s. TUESDAY: Mostly cloudy with highs in the upper 80s. Copyright 2019 KOLD News 13. All rights reserved. Stephanie Waldref joined the Tucson News Now team in June 2018 after spending a couple of years on the beach in Wilmington, NC. FIRST ALERT FORECAST: Mother Nature is cranking up the heat! Near record breaking heat returns. 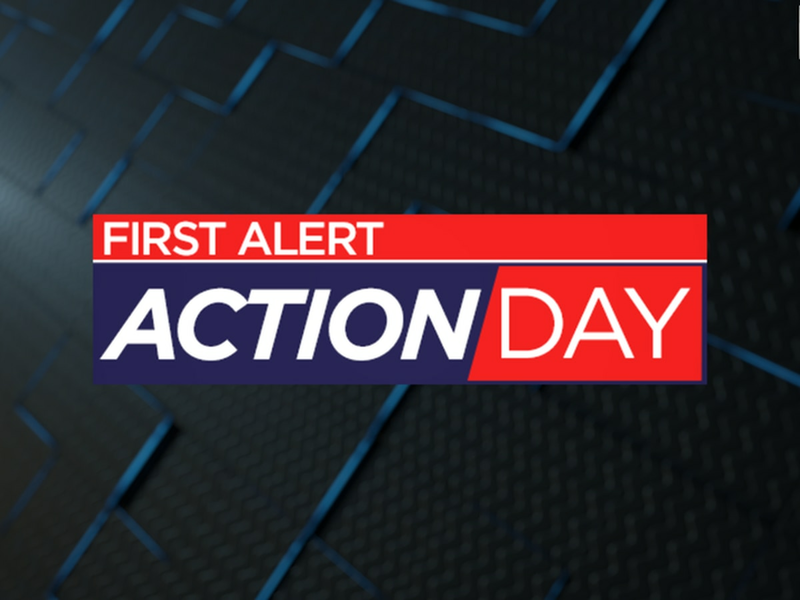 FIRST ALERT FORECAST: Rain expected tonight! FIRST ALERT FORECAST: Breezy and warm for the start of the week! FIRST ALERT FORECAST: Temperature roller coaster continues!